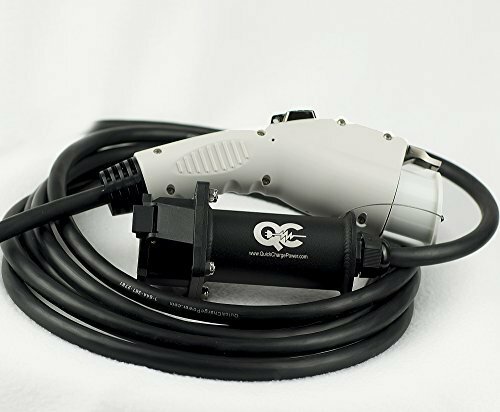 Home Electric Vehicles EV Charging Do we need a 500 mile range Tesla or other electric car? This week Tesla Motors unveiled a larger battery pack for the Tesla Model S. With a 100 kiloWatt-hour battery pack they’re now up to 315 miles EPA range, and it also let Tesla juice up the Ludicrous mode for an even faster 0-60 miles/hr time and claim to be selling the 3rd fastest production car in the world. 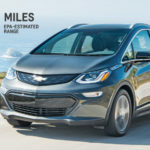 That’s cool… but it ignites the long-running question of whether or when there will be a 500 mile range electric car, whether from Tesla Motors or anyone else. I have to wonder “why”. Isn’t 315 miles range sufficient? 350 miles? 380 miles? In a way there’s no mystery about building a 500 mile range electric car. There was a 300 mile range car built in the early 2000’s by Solectria, the Solectric Sunrise that had a big enough NiMH battery pack that they could drive from Boston to New York City in one go. In a way Tesla Motors simply caught up with Solectria’s achievement. It’s just a matter of putting enough kiloWatt-hours of battery into the car, while making sure the car is still light enough it can drive. That’s the tradeoff between weight and performance, and Tesla’s cars are already suffering from low efficiency due to their heavy weight giving them a lower eMPG rating than other electric cars. The real question is – How much range is sufficient? If the person with 285 miles electric range still wants “more”, how much “more” will stop them from asking for more? The gasoline car world holds a big clue for us — most gasoline cars supply 300-400 miles range per charge. A few hybrid or plug-in hybrid cars hype up an even longer range, but the norm is in around 300-400 miles. Seems likely that the last 100+ years of selling gasoline cars has taught those marketing departments this is the sweet spot. There’s a bigger macroeconomics question to ponder. Worldwide we have X capacity for lithium-ion battery production. How should that production be allocated? Do we need more total electric cars? Or do we need electric cars with longer range, even if that means fewer total electric cars? I like the answer from Tesla Motors, increase total battery production. Even so, that just gives us a bigger value for X to allocate and we’re still left with the same question: More total cars, or fewer cars with more range? 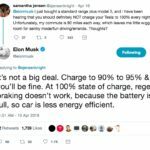 When the Tesla Model S was first introduced and there was a choice between 40 kWh, 60 kWh and 85 kWh, I wrote an article suggesting the 60 kWh model with Supercharger option was the sweet spot. My reasoning was the 200+ mile range at 60 kWh is enough for driving around town, and the Supercharger is there to handle longer trips, and the supercharger support is cheaper than buying the extra battery capacity. Bang for the buck, in other words, and I stand by that reasoning. The current low end, 70 kWh, gives adequate range. What would a 500 mile range give you that 300 mile does not? That’s 8 hours of driving at a stretch versus 5 hours driving (at 60 miles/hr). I don’t know about others, but I think even 5 hours at a go behind the wheel is unhealthy. I would want to stop somewhere in that time range to stretch my legs, and unwind a bit, so that stop might as well involve charging. 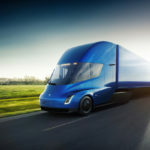 I did a quick web search on “won’t be 500 mile range tesla” before writing this and see lots of postings eagerly hoping for a 500 mile range electric car. Count me as being puzzled about this. 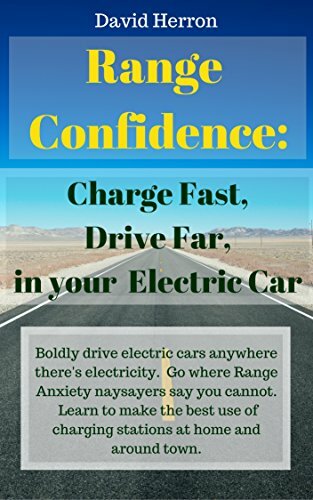 EV Charging, Range, Range Confidence. Bookmark. 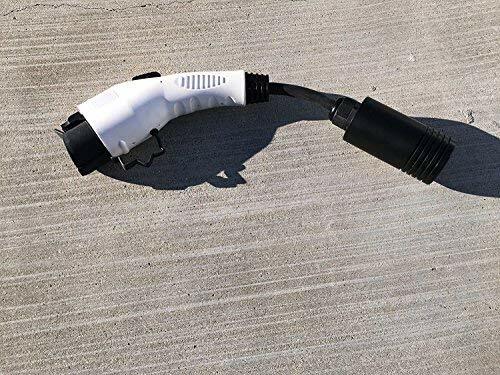 Here is why people might want a 500 mile car….so they don’t have to worry about charging it every day or….or topping it off to make sure they don’t get stranded. I don’t know what “range anxiety” feels like, but I can understand what the concept is all about. I would like to invest in an electric vehicle, but in reality, I would rather see the shared economy kick in and abandon the need for my private vehicle. 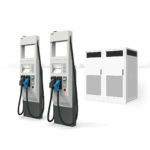 With a 300 mile range you don’t need to charge every day – how often do you stop for gasoline? It’s not every day, unless you’re one of those roving salespeople who rack up hundreds of miles a day. My car has a 95 mile range, and my daily commute is 10 miles, and therefore I can (and do) wait for a few days before charging. The shared economy thing is coming, and will arrive on the wings of self driving cars. All (most) the car companies are researching self driving cars, and pondering offering cars through a sharing service rather than selling them. GM is working with Lyft for instance – the first production of the Chevy Bolt will go there. Last year I went to a marketing focus group meeting at the Volkswagen Research Lab in Belmont, and they described a planned car sharing service where you summon self driving cars via a cell phone app. 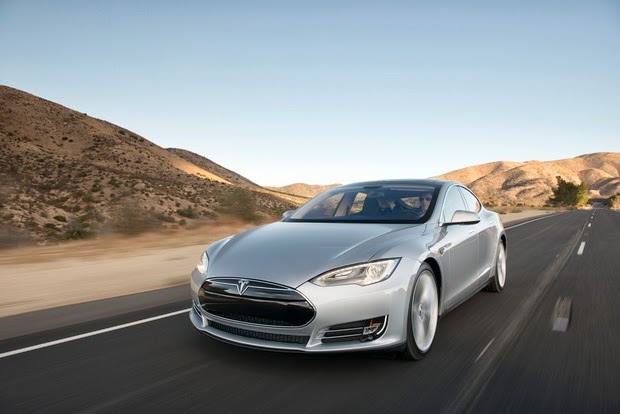 Tesla Motors is planning this, and Google is working with several companies on self driving cars. Even tiny startup companies like OSVehicle and Arcimoto are looking into the self-driving car market. Agree with all your points. Add that Ford announced last week that it will have a production Level 4 (no steering wheel) car by 2021…that’s like five years away! And this is Ford, not known for its highly progressive designs. My comments were more to explain the human condition of concern and perpetual worry. We worry about everything, whether it is justified or not. I think 100KWH is great — hell, if it could be the de facto standard, that’d be fantastic. But as we all know, that means an expensive, heavy, and resource-intensive pack. In my opinion, the real key is not pack size: it is recharge speed. If an EV can be treated for all intents and purposes like an ICE — with 5-minute fill-ups — then EVs will instantly become the obvious vehicle for all buyers (because they are already better than ICEs in all other environmental, performance, and quality perspectives). There are constant announcements of breakthroughs in battery technology. Quick recharges will soon happen. Then, the only thing I want to see are gasoline fill-up stations start getting high-powered chargers for non-parking space city dwellers and for highway drivers, because everyone else will still fill up at home like we do now. ok… for city use 300 miles is more than enough for a week milage.. wich will give 60 miles per day, saying 30 miles going and 30 miles back… is quite ok… but for any trip, i would want 500/600 miles nowdays. why? a petrol car can be filled up in less than 5 minutes, lets say you need to get somewhere 450 miles away, you need to go to logistics, because, nowdays we don´t have electric chargers everywhere, lets say in the next 10 years we will have, then will be ok, but for people who travels, 500 miles are a need. I would really like to buy EV, but it can not fullfill my needs. I travel at last once a month from Oslo to Belgrade, and back. (2300km one way) I travel Oslo-Copenhagen, I make 30min-1h brake, then from Copenhagen to Berlin, make brake 30min-1h and then to Wien. I overnight in Wien and then travel to Belgrade. Speeds on highways are like 130km/h (In Germany up to 250km/h). So, yeah some people are really in need for bigger bateries that can provide 1000+ km drive range, with speeds of 130+ km/h. For now, I “stuck” with my disel car. What’s needed isn’t an ultra-long driving range. You don’t have an ultra-long driving range with a gasser vehicle. How it works in a gasser vehicle is you stop at a petrol station for a fillup and then get back on the road. 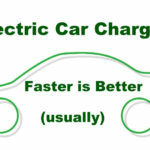 The same must be accomplished on an electric vehicle – fast recharge. It’s going to be awhile before recharges are as fast as petrol fillups. However, after 300 miles if driving your body will appreciate a half hour or hour of decompression and walking around. Ergo, a sub-1-hour recharge time is “enough” to make a long trip a healthy experience.